Will 2013 be "The Year" to Buy a House? Home / Real Estate / Will 2013 be "The Year" to Buy a House? Will 2013 be “The Year” to Buy a House? This is almost a clichÃ© question that gets asked at or near the beginning of each new year. And itâ€™s mostly a question thatâ€™s asked by real estate agents and home builders. But Iâ€™m neither a real state agent nor a homebuilder, and I do see some solid indications why 2013 could be the year to buy a house at a bargain. There are compelling reasons why 2013 could in fact represent a rare opportunity to buy. 1. Interest rates are at record lows â€“ but who knows for how long? Mortgage rates are currently at historic lows. That is to say that they are lower than they have been at any time since mortgage rates have been recorded. They are even lower than what they were during the Great Depression of the 1930s. That fact alone merits close investigation of a purchase opportunity. But with the economy slowly but steadily improving, and debt levels skyrocketing, itâ€™s an open question as to just how long rates will stay this low. The Federal Reserve has indicated that the record low rates will continue through late 2014, opening up the possibility that they will go higher thereafter. Since we canâ€™t know exactly how events will play out in 2014, the only thing we do know for sure is that we have record low mortgage rates in 2013. That means we should view 2013 as a year of opportunity, at least as far as mortgage rates are concerned. How much of a difference do rates make? A $200,000, 30-year fixed rate mortgage with a rate of 3.5% will have a monthly payment of $898. Should that rate go up to 4.5%, the monthly payment will increase to $1,013. If the rate goes to 5.5%, the monthly payment will increase to $1,136. Translation: The lowest monthly payment youâ€™re likely to get almost certainly will be obtained in 2013. 2. Property values are well below peak. Even though property values are recovering in certain markets, overall they remain well below their 2007 highs. It is still possible to buy a house at 30% to 50% below the peak of a few years ago. However as the economy improves, and certain markets lead prices higher, 2013 may prove to be the long predicted bottom of the market. Waiting just one or two years may mean buying the same property at a price that is several thousand dollars higher. While it is always possible that mortgage rates can go even lower, and property values could fall even more in future years, that scenario remains a blatant speculation. For 2013, we know for a fact that we have record low rates, and relatively low property values. In itself this is an unusual combination of events. 3. The economy is gathering steam. Though it isnâ€™t across the board, the economy is recovering, and that usually points to higher house prices â€“ at least eventually. It is even possible that economic growth could gather steam, and extend to more sectors, due to factors that are unseen at the present time. There is sufficient pessimism about the economy that the most extreme outcome appears to be stronger growth. That scenario is also speculation, but not entirely beyond the realm of possibility either. Should that happen it probably will not be noticed until price increases are significant. By then it will be too late to take advantage of what has probably been the lowest property values of the last decade in many markets. 4. Rental markets are getting tight in some areas. In many markets, thousands of households have gone from being owners to being tenants. In addition, many people can no longer qualify for a mortgage based on stricter lending requirements. This is causing an explosion of tenants in some areas, which is causing rents to increase. At some point, rents will rise to a level where it will be more expensive to rent than to own. When that happens, property values will begin to increase to accommodate a higher number of buyers. 5. “Fiscal cliff” tax hikes have already begun. One of the less fortunate outcomes of the recent Fiscal Cliff resolution is that taxes are increasing this year. Most conspicuous is the 2% increase in the payroll tax. Several years ago, under the Bush tax cuts, the Social Security payroll tax had been lowered from 6.2% to 4.2% on the employee portion of the tax. Fiscal Cliff negotiations have restored the higher rate. Capital gains rates have also increased for many taxpayers, and many other taxes have either increased or are set to do so. Since owning a house, with its tax deduction for mortgage interest and real estate taxes, has traditionally been one of the best tax shelters for the largest number of households, the increase in taxes could cause people to shift emphasis into buying a home. Renters in particular will be more exposed to higher taxes, and homeownership is an obvious solution to that problem. Am I predicting that 2013 will turn out to be one of the best home buying years in decades? Not necessarily, but the stars do seem to be aligning in that direction. 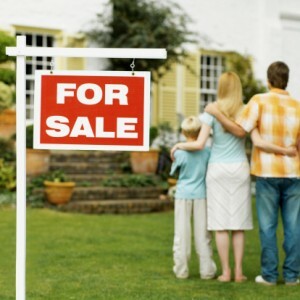 Do you think that 2013 will prove to be a good year to buy a house? 6 Responses to Will 2013 be “The Year” to Buy a House? We bought for the first time in 2012 and have been really happy with our decision. We might buy again in the next year or so, depending on what the housing market looks like and if we have enough downpayment saved. If the market begins turning up soon you’ll be in an excellent position with two properties. That’s our hope. We’ll see how things turn out. For now we’re just investigating our options.